Time is one of the most important aspects of the UFO thing. It plays a strange, but significant role. Part of the answer may not lie in the Stars but in the clock ticking in front of you. The planet Earth exists in three dimensions, we can move in many directions within these dimensions. Space does not exist except when we make it exist. To us, the distance between atoms in our matter is so minute that it can only be calculated with hypothetical measurements, yet, if we lived on a atom, and our size was relative to its size, the distance to the next atom would seem awesome. There is another Earth’s man-made measurement called time. Unlike the other three dimensions, time has us seemingly trapped. Time becomes very real to us, and it appears that we couldn’t live without it. Yet time doesn’t really exist at all. This moment exists to us, does this mean the same moment is being shared by other planets, in other galaxies ?, “not really”. The UFO phenomenon does seem to be controlled, this means it does follow intelligent patterns. If the objects themselves are manifestations of higher energies, then something has to manipulate those energies somehow and reduce them to the visible frequencies, for human patterns, but they take forms which seem physical and real to us, and they carry out actions which seem to be intelligent. Thus, we arrive at the source, the source has to be a form of intelligent energy operating at the highest possible point of the Frequency Spectrum. If such an energy exists at all, it might permeate the Universe and maintain equal control of each component part. Because of its very high frequency, so high that the energy particles are virtually standing still, the source has no need to replenish itself in any way that would be acceptable to our environmental sciences. It could actually create and destroy matter by manipulating the lower energies. It would be timeless, because it exists beyond all time fields. It would be infinite because it is not confined by Three-Dimensional Space. Perhaps if we were in a pure energy state, each particle of energy would itself serve as a synapse, and information could be stored by a slight alteration in frequency. All the memory fragments of a rose, for example, would be recorded at one frequency, and the whole energy form could tune into that memory by adjusting frequencies, as we might adjust a radio receiver, (well… well… well… where have we heard of this before!). In other words, no complex circuitry would be required, and no physical body would be necessary either. The energy patterns would not need material form, it instead would permeate the entire Universe, (Universe,…. interesting small point of view of a gigantic concept of the reality of the MULTIVERSE). It could surround you completely at this very moment and be aware of all the feeble impulses of tow energy passing through your brain. If it were so desired, it would control those pulses and thus control your thoughts. Man has always been aware of this intelligent energy or force, he has always worshipped it, i.e. God, Jesus, or the Universal Being, etc. Our first conclusion is that some UFOs originate from beyond our own time frame or time cycle. Our second conclusion is that the source has total foreknowledge of human events and even individual lives, since time and space are not absolutes. These two conclusions are compatible. It is that all human events occur simultaneously when viewed by a greater intelligence. If a greater intelligence wants to communicate with a lower form, all kinds of problems are presented. The communication must be conducted in a manner which will be meaningful and understandable to the lower life form, an acceptable frame of reference must be found and utilized. 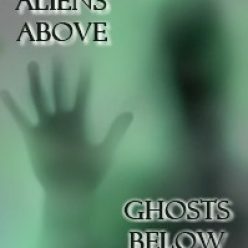 The UFO phenomenon is frequently reflective; that is, the observed manifestations seem to be deliberately tailored and adjusted to the individual beliefs and attitudes of the witnesses. Contactees are given information which, in most cases, conforms to their beliefs. UFO researchers who concentrate on one particular aspect or theory find themselves inundated with seemingly reliable reports which tend to substantiate that theory (?!). Soviet researchers extensive experiences with this reflective factor led them to carry out weird experiments which confirmed that a large part of the reported data is engineered and deliberately false. The witnesses are not the perpetrators, but merely the victims. The apparent purpose of all this false data is multifold, much of this is meant to create confusion and diversion. Some of it has served to support certain beliefs which were erroneous but which would serve as a stepping stone to the higher, more complex truth. Whole generations have come and gone, happily believing in the false data, unaware that they were mere links in the chain. If it were all understood too soon, we might crumble under the weight of the truth. The planet Earth is covered with windows, (corridors, tunnels, and/or gates) into those other unseen worlds. We have the instruments to detect them, and if we decide to use them, we would find that these windows are the focal point for Super High-Frequency Waves, the rays of ancient lore. These rays might come from Orion or the Pleiades Star System as the Terran’s ancients claimed, or they might be part of the great force that emanates throughout this Universe, perhaps from the Antares Star System. The UFOs have given to the Terrans the evidence that such rays exist. Now, slowly, we are being told why. Observers from the Antares Star System are watching the Terrans and they know the guidelines for “Warp Zones” come from the center of the Antares Star System and draw tunnels for several main points of this and other Universes. They are “Gates” for several travelers from all Universes. Of course there are many more focus points, when other rays come from around the Universe. We, the people of Earth, exist at the 3rd dimension because our atoms have a specific frequency which makes us able to exist at the 3rd dimension. This specific frequency is stable enough for all our lifetime. That’s the whole idea behind the multiverse concept, not just one universe but an infinite number of parallel universes. Using math to make a simplification of this concept tells us that there are no limits of the higher or lower number that exist. It’s impossible to figure these numbers like it’s impossible to figure the extension of possibilities of the Multiverse. If we are capable of accelerating or decelerating the frequencies to make us able to exist in the 3rd Dimension, we can jump to the 5th Dimension, or the Multiverse. To understand this idea better, try to think that all this is just like listening to a radio set. When you listen to a radio set, you are listening to a single radio station, on a single frequency, by changing to a different radio station, you have to change to a different frequency. This is accomplished by the frequency tuning dial on the front of the radio set, but because you are listening to a single radio station, on a single frequency, does not mean that other stations on other frequencies do not exist, right. Same thing with the other universes from the Multiverse, they’re at other different frequencies than we are and we just don’t know it yet. Why are we in the 3rd Dimension and they are in the 5th Dimension?, why not the reverse?, simple, “its based on perspective, they see us as their 5th Dimension and we see them as our 5th Dimension”. Again, it is just a question of perspective. The other dimensional travelers come to our dimension by using some process of acceleration of particles and give them the capability of jumping between dimensions, but why did they select England first, and then why the fields? The answer is, England had all of the right conditions for one of several civilizations that exist in the Multiverse to be able to contact us through crop circles. All answers of how they were able to accomplish this task lie in a vast prehistoric energy circuit. England has a complex web of energy running in inter-links with tumuli, ancient graves and stone circles or henges, and all of the sites, henges, mounds and stone circles were constructed in relation to underground water linked with energy lines. This creates some sort of natural electro-magnetic force field created by the water, combined with the presence of underground quartz deposits. Also, the lunar gravitational effects on the water, land mass and the build up of a electrical magnetic charge from the quartz produces a periodic energy discharge. The energy bolts give the necessary conditions for these other dimensional civilizations to be able to start experimenting with our universe and/or planet. In the above sketch, our eyes wouldn’t be able to see the probe at that moment, because of our visual limitation, of not being able to see the frequencies between the frequencies of infrared and ultraviolet. Of course if you were able to detect the device using infrared or ultraviolet equipment, then you would be able to see it. The crop circle phenomena didn’t start now, or even a few decades ago, it started centuries ago and just got more and more complex. Normally you detect the proximity of a circle by ionization of the air near you, i.e. changes of the temperature and/or a characteristic sound produced by the acceleration of particles, when they are semi-stable at our reality. They are now experimenting all over the planet Always looking for similar conditions to England to send messages, “very particular messages”, using domes, which are fluxes of particles from their particle accelerator device. Very soon they will be able to make a total materialization and real existence at our reality.